Costa Rica has broken ties with the Central American Integration System (SICA) following the lack of support from other member countries in regards to the recent issue with Cuban refugees. The announcement was made on Friday, December 18th, when Costa Rica’s Foreign Minister, Manuel Gonzalez, citing a lack of support and failure to include the Cuban migrant crisis on the agenda for discussion at the SICA Summit in El Salvador. Costa Rica has been dealing with over a thousand stranded Cubans hoping to reach the United States of America (USA) through Central America and Mexico since mid-November, 2015. After Nicaragua closed their border to the refugees, Costa Rica reached out to Guatemala and Belize for assistance in the transit of the refugees, but neither of the countries agreed to help. To date, there are about 6,000 Cuban immigrants stranded in Costa Rica and not able to travel through Nicaragua, Guatemala or Belize to Mexico and then the USA. These immigrants were hoping to travel through land to the USA in order for the “wet foot, dry foot” policy to take effect, which allows anyone who fled Cuba and entered the USA though land would be allowed to pursue residency a year later. 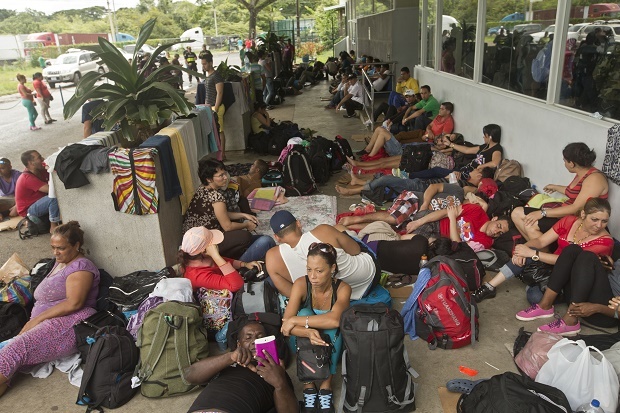 But with the Central American countries not aiding in the crisis, Costa Rica has been left to face the issue alone and has now announced that they will not be giving out any more transit visas to any arriving Cubans and would instead deport them to their country of origin. Foreign Minister Gonzalez indicated that Costa Rica "cannot participate in a body that does not respect a fundamental, basic principle that is solidarity." As such they will not be part of the political body of SICA and will not reintegrate until they address the Cuban immigrant crisis with the importance it deserves. Costa Rica is solely suspending it political participation in SICA, but will remain part of the economic, commercial, or technical bodies. Other member countries have called for a solution but have not offered any plan of action on the crisis.